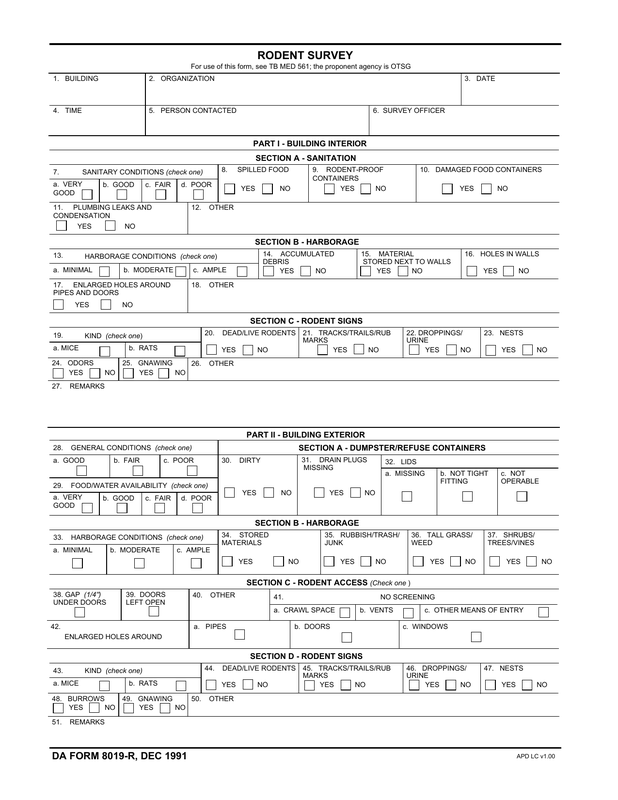 Download DA Form 8019-R, also known as Rodent Survey. This survey is a part of the United States Army’s pest surveillance program. Rodents carry severe diseases if populations are out of control. A collector will go to each site and observe for the purpose of collecting specimens in order to test for disease, observe traps in search of information regarding infestations in and around dwellings. This form will record information with regard to sanitation, harborage, signs of rodents in and around dumpsters etc.